When Georgia seceded James H. Huggins recently a returned Californian and myself proceeded to raise a company. The country was a unit for war and soon we had a company of 100 men rank and file. They were a fine body of men, few of whom over 21 years of age, the very pictures of health and dressed in their brown jeans pants and round abouts, drawn up in line they presented a splendid appearance. This Company was called the Blue Ridge Volunteers, the first to leave the county and was officered as follows, J.H. 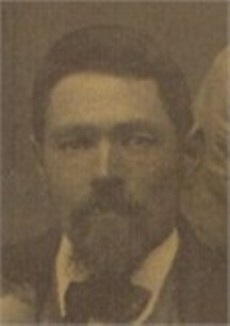 Huggins, Capt., John Reece 1st Lt., H.W. Barclay 2nd Lt. and Jesse P. King, 3rd Lt. Now these were farmer boys, many of them had never seen a railroad, some of them never out of the County, but they were brave. The outside world was a revelation to them, and when well drilled and half starved, as many times they were, in after years they were fighters of the first quality. The travelled experience of our Captain was a great help towards securing his election, for as globe trotters, none of us were distinguished. The whole county, it seemed to me were in Blairsville the day appointed for our assembling and departure. We had a big dinner, speeches were made, flag presented, a general mingling and commingling of the crowd and the whole scene presented the appearance of a grand jollification. There was laughter and joking and pranks, some tears perhaps, but nothing to mar our pleasure, or indicative of the hard times before us. The farmers proposed to haul us, but we were too patriotic for that and accepting one wagon to carry our baggage, we footed it all the way, ninety miles. Along the road we were cheered, flags and handkerchiefs waved, and we lived on the fat of the land. It seemed to me that the people were crazy and we were wild crazy. We wasted enough at Big Shanty in one week to have lasted us very well two weeks the latter part of the war. We were anxious to get to the seat of war and soon orders came to report to Richmond. Soldiers are ever restless when still, and especially was this the case with the most of us who had never been anywhere. This is to certify that the members of this Co. received 2 days extra pay for the month of Nov & Dec and the said 2 days stopped on the roll. On sick furlough since 11-11-61 at Young Cane, Ga.
Pension filed in Union Co. Ga.
enlisted 4-4-63 Blairsville, Union Co. Ga. Present at surrender near Durham Station, N.C. Filed for pension in Fulton, Co.
Barclay, Hugh W 2nd Lt./1st Lt.
enlisted 2-27-62 Union County Ga.
Bonaboy, Hugh W 2nd Lt.
Born: 1830 Rutherford Co. NC. Died: 1889 Union Co. Ga.
mustered 8-31-61 at Camp McDonald, Ga. enlisted in Jasper, Ga. Filed for pension in Pope Co. Ark. enlisted at Bartow Co. Ga., mustered 8-31-61 at Camp McDonald, Ga.
enlisted in Union Co. Ga. mustered 8-31-61 at Camp McDonald, Ga. Filed for pension in Cherokee and Cobb Co.'s Ga.
enlisted at Blairsville, Ga. in 1862, mustered 8-31-61 at Camp McDonald, Ga. Roll Jul/Aug 63 absent sick in Hospital in Charleston, S.C. Filed for pension in Lumpkin Co. Ga. Roll Jan/Feb 62 absent on sick furlough since 11-11-61 in Union County Ga. Roll Sep/Oct 63 sick in Hospital in Charleston, S.C.
Died 7-10-62 at Chimborazo Hosp #2 Richmond, Va.
Rolls Jan thru Apr 64 absent from wounds received at Battle of Olustee, Fl. Wife: Sarah E Gilreath, married 4-9-1876 at Cool Springs Church, Union Co. Ga.
Died: 10-6-1913 at Margret, Fannin Co. Ga. Roll Jul/Aug 63 absent, sick in Charleston, S.C. Captured at Weldon rail Road 8-19-64, exchanged 2-13-65, near Petersburg, Va. Wife: Ann, married 12-24-1866 Fannin Co. Ga.
Died 11-14-1916 Baldwin Co., Ga.
William M. Davis (1843-1916) private, Co. B, 23rd GA infantry, August 31, 1861. Captured at Weldon Railroad, VA, August 19, 1864. Paroled at Point Lookout, MD and transferred to James River, VA and exchanged, Feb. 14-15, 1865. 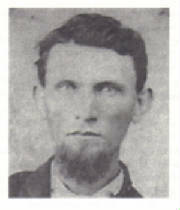 Born: 1-2-1841 Union Co. Ga.
enlisted 8-61 Union Co. mustered 8-31-61 at Camp McDonald, Ga. Captured near Fredericksburg, Va. 5-3-63 Rolls Jul 63 thru Apr 64 say sick in Hospital at Wilmington, N.C. Roll Jul/Aug 63 sick in Hosp in Charleston, S.C. Survived the war, witnessed for R L Swafford in 1891 Ga.
Born: 8-13-1838 Union Co. Ga.
Not present at surrender, was wounded and being held at Elmira Prison, New York till end of war. Filed for pension in Cobb Co. Ga.
See Personal Papers of H.H. Finch 117th N.C. Inf. Roll Dec 61 present at Yorktown, Va. as 1st Lt.
Died 11-27-62 from Variola Confluent at Jackson Hosp Richmond, Va. Wife: Kansade, married 8-26-1869 Cherokee Co. Ga.
Died: 3-8-1917 Cherokee Co. Ga. Admitted CSA Hosp 7-12-63 RTD 12-9-63? POW at Wheeling, Va. (also known as Athenium Prison)7-21-64, 24 yrs, 5’11’, fair complexion, grey eyes, light hair, Farmer, Res: Union County, Ga. 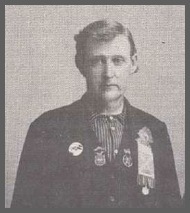 Wife: Charity, married in Union Co. Ga. and filed for pension in Lumpkin Co. Ga.
Died: 6-22-1898 Union Co. Ga. Admitted Wayside Gen Hosp #9, 10-18-62 transferred to Howards Grove Va. Filed for pension in Forsythe, Milton, and Bartow Co.'s Ga.
See personal papers of H.H. Finch Lt. 117th N.C. Regt. enlisted 9-19-61 / mustered 8-31-61 at Camp McDonald, Ga.
Mrs. Allie E. Ferguson, of Stilwell, Okla, in behalf of the widow of G. H. King, who served in Company E, 23rd Georgia Infantry, asks that any surviving comrades will help to establish his war record so that his widow may secure a pension. Comrade King served from August, 1861, to the surrender at Appomattox. SOURCE: Confederate Veteran Magazine, March, 1922. According to King family Bible records, George Henry King was born to John and Elizabeth King on 27 Apr 1824. He married Mary A Price 24 Dec 1848. The 1850 census record of Murphy Township, Cherokee Co NC lists George and Mary living on a farm just down the road from John and Elizabeth King. George is 26 years old, a farmer born in NC. Mary A is 28 years old, a housewife born in TN. Their children are John V, age 3 Zechariah, age 3 months George's Confederate military service record shows his enlistment in the Confederate army 31 Aug 1861 at Camp McDonald GA. He commenced service as a Private with Company B, 23rd Regiment, Georgia Volunteer Infantry, on September 19, 1861. He is reported as captured 3 May 1863 near Fredericksburg VA and paroled the same day. The "Roster of Georgians in the CSA" states that he was captured at Chancellorsville, paroled at Fort Delaware, and exchanged at City Point on 23 May 1863. He was appointed Corporal in the fall of 1863 and Sergeant the following spring. Without detail or explanation, a register of Confederate General Hospital in Greensboro NC lists him as admitted in March of 1865. 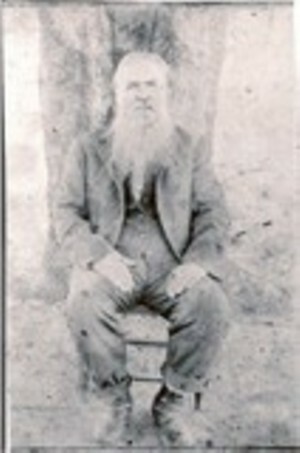 According to family Bible records, he died 30 Jan 1867. King, Jessie P 3rd Lt.
Resides in Union County Ga. Discharged 6-19-63 for Chronic Diarrhea on “Surgeons Certificate of Disability” also for Chronic Rheumatism and General Debility, discharged to Marietta, Ga. Inspection Report dated 10-30-64 absent with baggage, wounded in arm at Petersburg, Va.
Pension filed in Fulton Co. Ga.
enlisted in the fall of 1861 at Camp McDonald, Ga.
Died 6-3-62 in Richmond, Va. Wife: Nancy A Miller, Res: Union County, Ga.
enlisted in fall of 1861 at Camp McDonald, Ga.
Died 9-7-63 at Hosp in Summerville, S.C.
Born: Habersham County, Ga. Res: Union County Ga.
Died 12-16-61 at Yorktown, Va.
enlisted Feb 64 at Union Springs, Ala. Roll Nov/Dec 64 shows absent on Provost Guard at Americus, Ga.
Card dated as Stationed at Camp Write near Macon, Ga. Admitted CSA Gen Hosp #4, Wilmington, N.C. 7-12-63 Debility, returned to duty 8-10-63 P.O. Ivy Log, Ga.
Died 12-23-63 in Hospital in Charleston, S.C.
Amos died 22 December 1863 in Charleston, SC. He is buried in the Confederate Section of Magnolia Cemetery in Charleston. His grave is just to the left of the outstretched hand of the Confederate Soldier Monument. 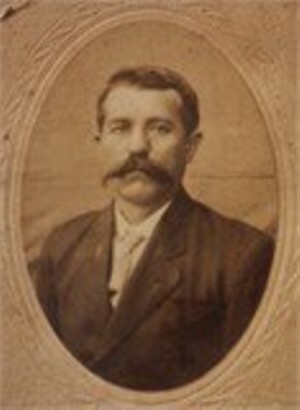 After his death his widow and their children moved to Franklin County and later Red River County, Texas. enlisted 2-28-62, mustered 8-31-61 at Camp McDonald, Ga.
Died: 5-22-1929 Union Co. Ga.
Reid/Reed, Samuel P Sgt/2nd Lt.
enlisted with Co. B 1st Ga. Regulars, but was discharged and elected 2nd Lt. for Co. B 23rd Ga.
Died 7-8-62, Widow Cynthia E Sparks collected Bounty $5.30 Union County Ga.
Rolls Dec 61 thru Feb 62 absent on sick furlough since 11-1-61 to Union County Ga.
Died 2-17-63 in Union County Ga. Roll Jul/Aug 63 present sick in Hosp in Charleston, S.C.
enlisted 2-5-64 at Blairsville, Ga.
enlisted 8-22-61 Blairsville, Ga., mustered 8-31-61 at Camp McDonald, Ga. Roll Mar/Apr 64 absent = sick in hospital in Lake City, Fl. Filed pension in Towns Co. Ga.
Died: 2-27-1904 Town Co. Ga.
Died 10-2-63 at home in Union County, Ga. Admitted York House Hosp 9-20-62 Winchester Va.
Born: 12-24-1840 Union Co. Ga. Admitted Gen Hosp Howards Grove 6-29-62 remarks: Carticay, Gilmore Co. Ga. Filed pension in Gilmer Co. Ga.
enlisted 2-26-62 at Yorktown, Va.
Born: 7-18-1838 Hall Co. Ga.
enlisted 2-28-62 Union County Ga.
Last of March 62 took sick with Measles, and during the Seven Days fight near Richmond about 6-26-62, he came down with diarrhea and piles. Wife: Sarah C Lang, married 8-7-1856 Gilmer Co. Ga.
Died: 8-14-1907 Gilmer Co. Ga.
Paroled at Fort Delaware, Del. enlisted 9-63 in Blairsville, Union Co. Ga., enlisted 10-5-62 Blairsville, Ga. Wife: Nancy H., married 12-10-1869 Union Co. Ga.
Died: 1-16-1923 Gordon, Co. Ga.
enlisted 9-25-61 Union Co. Ga. Filed pension in Lumpkin Co. Ga. Admitted Chimborazo Hosp #3, 5-22-64, transferred to Lynchburg, Va.
enlisted in Gilmer Co. Ga. in 1861, mustered 8-31-61 at Camp McDonald, Ga. Roll Dec 61 sick since 10-28-62 at Gilmore County Ga., Cortica, Ga. Roll Nov/Dec 63 sick in Summerville, S.C. Filed pension in Bartow Co. Ga.